I would like to know if anyone has worked with stereoscopic analysis (e.g extracting features such as drainage, forest an so on) using the following softwares: QGis, gvSIG, ILWIS or MicroImages TN Tmips. If so, how can I do that? 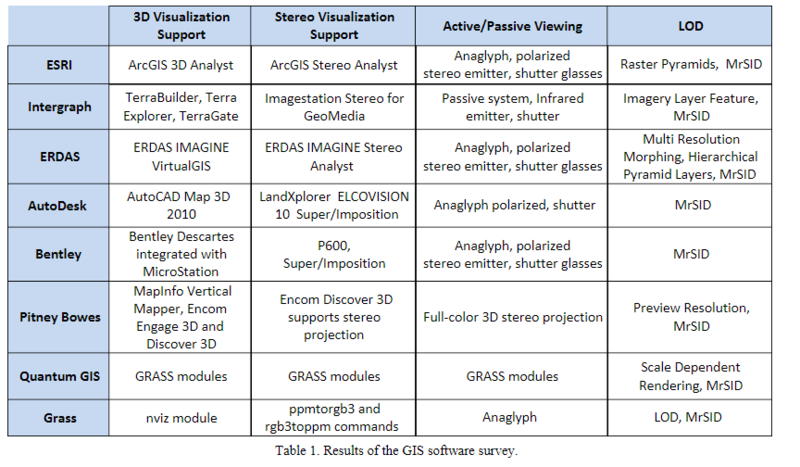 In regards to QGIS/GRASS modules to conduct stereoscopic analysis you can with these resources providing further details on general approach and some steps to their methods. GRASS 6 Viewing existing data as stereo 3D The d.anaglyph addon module provides an easy way to create 3D anaglyphs and stereographs. It uses the m.nviz.image module to render two viewpoints, then from those two images composes the 3D image into a single PNG file. In time it should be possible to port this functionality into NVIZ itself. Not the answer you're looking for? Browse other questions tagged qgis data analysis feature-extraction stereo-imagery or ask your own question. How to auto-generate multiple maps with different features in QGIS? How to select features with same values? How can I find the percentage of representation of classes?